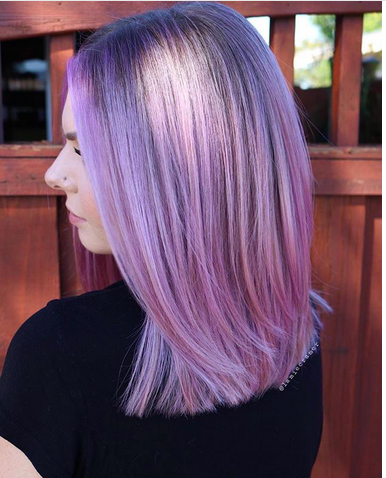 Are you a fan of bold haircolors? Mermaid, unicorn, all around the best kind of crazy? 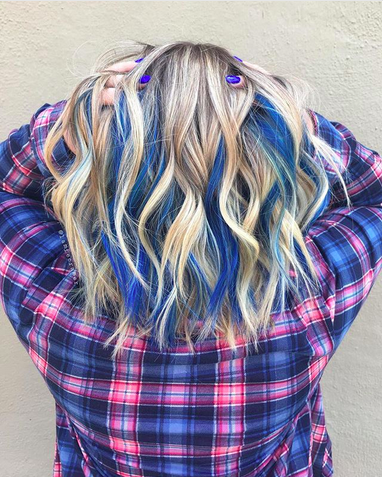 Well, when I discovered hairstylist Jamie Cramer through Pulp Riot's Instagram, I was instantly hooked -- because she creates unbelievably gorgeous color like no other. From teal to pink, fiery red to multitudes of bright shades, Jamie's talent for color truly knows no bounds. (And I for one really like her name!) Read on to find out how she gets her inspiration, the shampoo she can't live without and so much more. I grew up in San Jose, CA and moved to Campbell about a year and a half ago. I went to San Jose City College for cosmetology school. I'm currently working at Rage Salon and I've been there for almost 5 years now. How did you first become interested in beauty, and what led you to become a hairstylist? I always had a love for hair since I was a little girl, and I'm not really sure how it came about. No one in my family did hair, it was just natural. My mom always jokes that every week when she emptied the trash can in my bedroom there was hair in it (my hair, friends' hair, Barbie hair). I knew I wanted to go to cosmetology school for a long time, and the school I went to had a two year waiting list. So when I was a sophomore in high school I went and signed up. I was able to start straight away after graduating high school at 17 and graduated cosmetology school at 18! Jamie calls this color "Disney Villain Vibes" -- and I'm totally getting Maleficent from this amazing mixture of purple, green and blue. 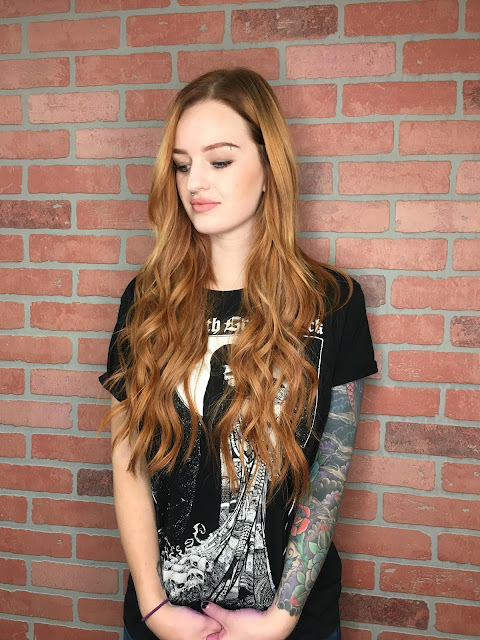 I absolutely love seeing all of your looks with Pulp Riot. How did your involvement with the brand come about? I'm technically not involved with the brand in any official way, just a huge fan of their product! I love their social media presence and the way they market their color and really get people to be creative. I'd love to be a member of the Riot Squad some day! You create such incredible colors for your clients. How do you get your inspiration, and what led you to creating such out of the box looks? I really get my inspiration from other stylists I follow on Instagram. I'm always seeing new ideas and wanting to try them out, but make them my own by changing them slightly or adding two new techniques into one hair color! Jamie added in blue streaks to match her client's nail polish color. I love that these bold streaks look somehow totally natural -- and I of course also love that they were done to match nail polish! What are your top 5 hair essentials? 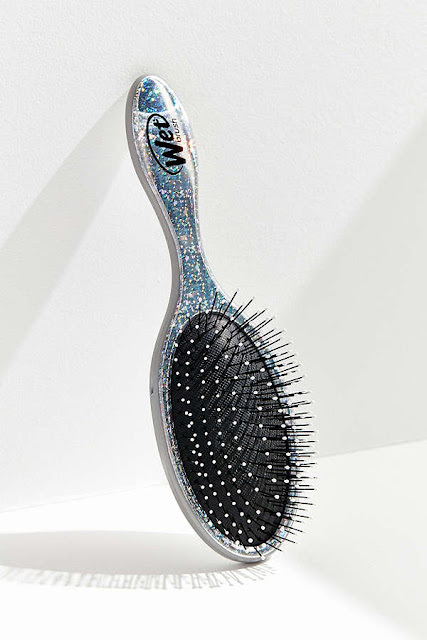 The Wet Brush. It's the easiest and gentlest way to detangle hair. Unite 7SECONDS Condition Leave In Detangler. It's literally magic and can be used on any hair type. 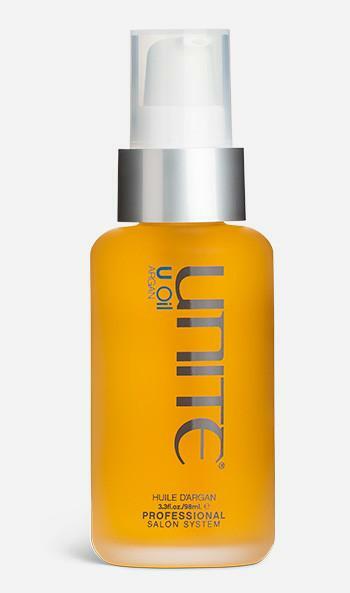 Unite U Argan Oil. It's super hydrating and cuts blow drying time in half. Unite BLONDA Shampoo. A purple shampoo that's great for any blondes out there, and it even smells like grapes! 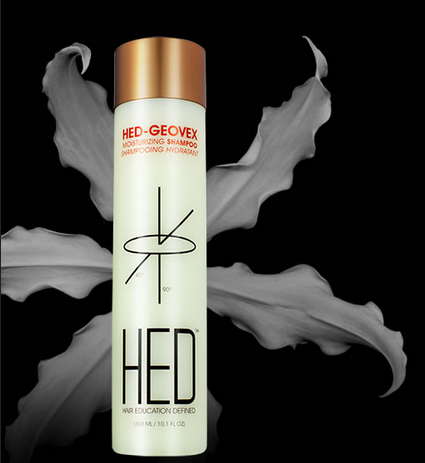 HED Geovex Moisturizing Shampoo and Conditioner. They're sulfate free, PH balanced and very hydrating for color treated hair. 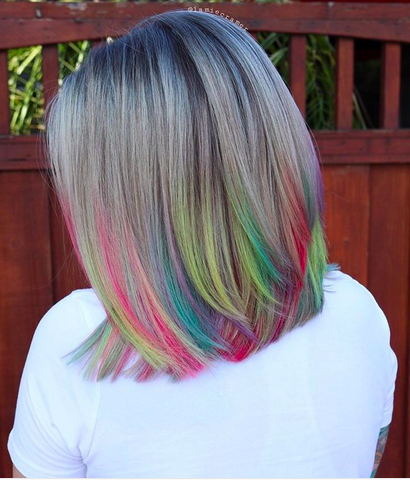 What are your top 3 hair tips -- especially since you work with a lot of vibrant, crazy colors? 1) Don't wash your hair every day! Two times a week is great if you can make it that long. 2) Cold water helps keep the vibrant colors in longer by keeping your cuticle closed tightly. 3) Use a PH balanced shampoo! 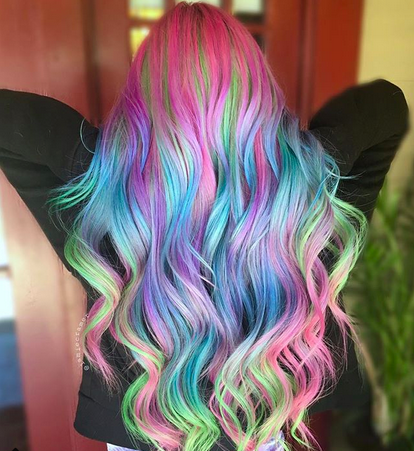 Subtle unicorn vibes. What a gorgeous mix of hues that work so perfectly together. 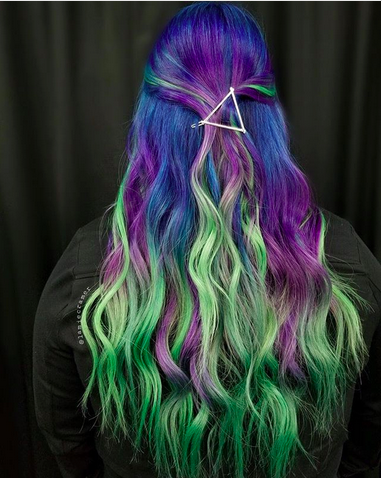 Did someone say unicorn hair? If you're looking to be the best unicorn ever, this is definitely the way to go! I love making someone's day. I've had clients cry tears of joy, and when you can make someone leave happier than they came in, it's a good day for everyone. Being a hairstylist must be fun, but what do you do in your spare time? I RELAX. This job is demanding in many ways, but I'm generally not the stereotypical type of personality that goes so well with this job, so when I get home after a long day of talking I just need to sit on the couch with a glass of wine and watch some TV. Wow these looks are beautiful! The Wet Brush changed my life! Goodbye forever, tangles. Wow - her work is stunning! I will have to look into UNITE - I'm alway looking for a good leave in conditioner. Gorgeous colors. I'm amazed at some of them. She's right about Unite and Wet Brush. What absolutely amazing work! So impressive! I love her hair, it's beautiful! I really like the blonde with the blue.